Amazon.com Price: $15.95 $15.56 (as of 20/04/2019 23:25 PST- Details)	& FREE Shipping. Introducing the only clinically proven program―steeped in ancient Chinese healing traditions―that has enabled hundreds of infertile couples to conceive. 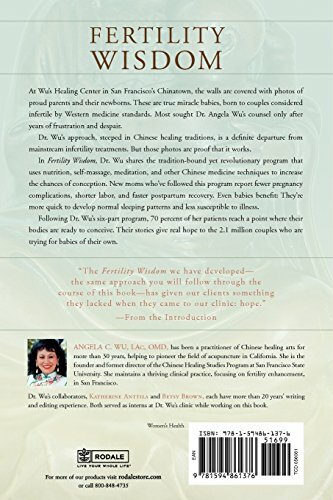 At Wu’s Healing Center in San Francisco, miracles are happening. Women and their partners come to the clinic―often from across the country– to fulfill a passionately held yet fragile dream: to conceive and deliver the healthy baby that mainstream doctors have told them they cannot have. Using traditional Chinese medical techniques, sometimes integrated with Western fertility treatments, Dr. Angela Wu is helping these couples experience the miracle of birth. 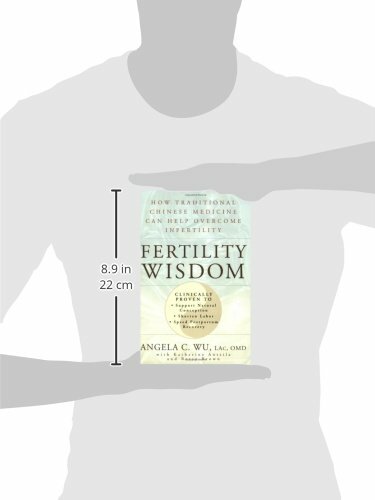 In this book, Dr. Wu details a proven 6-part self-care regimen that helps create the internal harmony and balance vital to conception. Her techniques not only enhance the results and reduce the side effects of in vitro and other Western fertility treatments, they also shorten labor and speed postpartum recovery. Babies benefit too, adopting regular sleep patterns more quickly and getting sick less frequently. 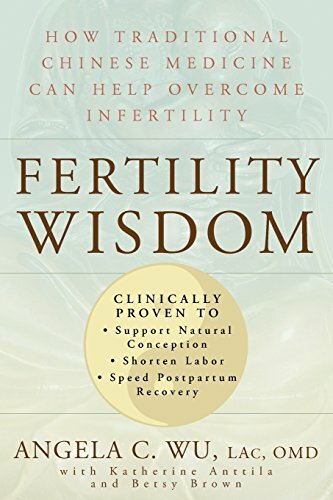 At a time when one in five U.S. couples is struggling with fertility problems, this practical and uplifting volume, filled with the inspirational stories of Dr. Wu’s grateful patients, will be a godsend.